Mrs. Lou Beach, 89, entered into rest Friday, September 14, 2018, at her home in Walterboro. She was the wife of the late Mr. Charles Harold Beach. Born December 9, 1928, in Sanford, Florida, she was a daughter of the late John Allen Lane and the late Hester Shaddix Lane. For many years, she worked with the Child Development Center, which throughout the years held a cherished place in her heart. She was a longtime floral delivery person having a personality that was well-known in Walterboro and surrounding areas. She was a member of Ebenezer United Methodist Church. Surviving are: her children, Terry Campbell, Allan Beach, Nancy Fralin, Chuck Beach (Terry), Melodie Hayes, Denise Catterton (Ross), and Jodi Maguire (Shawn); as well as sixteen grandchildren and twenty great grandchildren. She was preceded in death by a grandson. 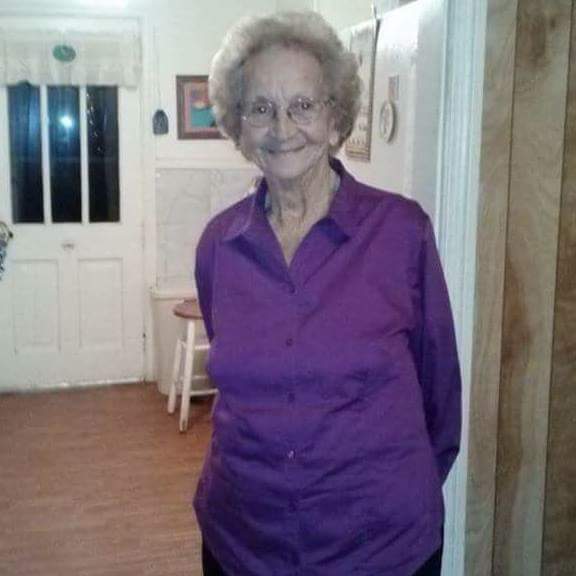 Flowers will be accepted or for those that desire, the family has requested that memorial contributions be directed in her memory to: Ebenezer United Methodist Church, care of Mr. Johnny Ritter, 208 Holly Street, Walterboro, South Carolina 29488. Funeral services will be conducted 11 o’clock, Wednesday morning, September 19, 2018 from The Brice W. Herndon and Sons Funeral Chapel, Walterboro. Interment will follow at 2 o’clock in Beaufort National Cemetery, 1601 Boundary Street, Beaufort. The family will receive friends Tuesday evening from 6 o’clock until 8 o’clock at THE BRICE W. HERNDON AND SONS FUNERAL HOMES AND CREMATORY, WALTERBORO CHAPEL, 1193 Bells Highway, Walterboro; 843.538.5408. Visit our online registry at: www.briceherndonfuneralhome.com.